Its never a good day to step in dog poop. In his book, Radical: Taking Back your Faith from the American Dream, David Platt contrasts Christian worship services in Sudan and America. He describes the Sudanese as people who listen to the sermon in order to translate it and teach it to others. Americans, Platt says, are generally listening with a different purpose – to better themselves. No wonder Gods Word rarely makes it outside the doors of the American church. So heres the challenge: listen and learn in order to share. Let Gods Word pass through me rather than hanging on to it. Jesus has just fed the 5,000 by breaking up a boys lunch and passing it around. The crowd recognizes that Jesus has miraculous powers and is “ready to force him to be their king. (John 6:15) Jesus, knowing there is a better plan, literally heads for the hills. Dont we still try to force Jesus to do what we want? Politicians use him to promote their agendas. Business people use him to appear worthy of trust. Broken people hide in churches in order to seem whole. What if, instead, we let God be God? What if we start the long process of letting Jesus death on the cross change us? But how? When all else fails, go back to the source: see what the Bible has to say. The book of John is a good place to start. More thoughts on the topic can be found here. And if you learn something, pass it on! No one except the 27,000 people at the Rose Bowl last weekend. My sixth grade daughter and I joined the Kiwanis Kids Team from her school at the 10th annual Walk Now for Autism Speaks. She signed up because she thought it was a cool event and a great cause. I signed up to support her (and to get myself off the couch on a Saturday). As an educator, I havent had many kids with Autism in my classes – only three spread over the last eight years of teaching preschool. Typically, kids with an Autism diagnosis are placed in a public preschool program rather than a private one. We saw many large multi-generational family groups walking together to raise money and provide moral support to their loved ones. Many of these groups had team shirts reflecting the interests of the person with Autism: Transformers, Elmo, Thomas the Tank Engine, Superman, Sponge Bob, Tigers, even Angry Birds. Many parents of children with Autism spoke before the walk including the actor Ed Asner. He has a son and a grandson with autism and he was a great encouragment to the crowd. My daughter especially enjoyed listening to him speak because shed met him in person about a year before. He couldnt have been sweeter to her, posing for pictures and admiring her freckles. She was interested to hear what he had to say about the walk and about Autism. As we started to walk, she asked more questions about Autism. I was able to give her some answers even though I share a lot of her questions. Standing in the hot sun, listening to celebrities and corporate sponsors talk about Autism, I may not have gained much new head knowledge, but I certainly gained some new heart knowledge: Autism affects families, all kinds of families. I took a small, unscheduled driving tour of downtown this week on my way to jury duty. I was pretty sure I knew how to get where I was going. Of course, Maggie, my faithful GPS unit, was in the other car and I dont have a smart phone. Luckily, I do have a smart husband who is better than any On-Star system. I had left home with my spirit of adventure, so even the temporary detour was interesting rather than infuriating. I strolled into the jury room at 9:30 a.m. having earned this luxury by watching the jury orientation videos online at home. And then I waited….for hours. Obviously, I knew this might happen and so I brought my laptop and kept up with work as much as I could. Long story short: eventually, I was released for a TWO HOUR lunch break. My first thought was to head over to the MOCA (Museum of Contemporary Art) since jurors get in free, but I wasnt sure exactly where it was. My spirit of adventure had convinced me I could survive on wits alone. The phrase We dont need no stinkin map! kept running through my head, so off I went. The building was not the MOCA, but LAPD headquarters. 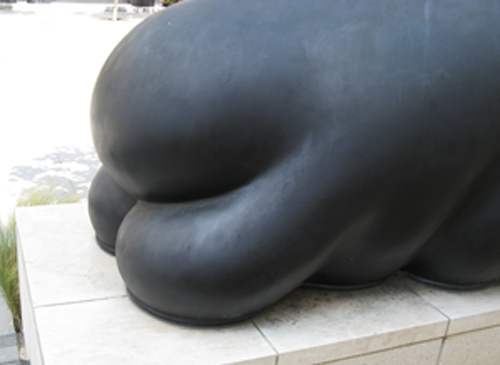 Im still thinking about whether that changes how I view the sculptures. They are the work of Peter Shelton who does, in fact, have work installed at the MOCA. You can read about Police Chief Brattons reaction in 2009 when the work was installed here. Since I did want to find some food on my lunch break, I pressed on. I passed City Hall park (under construction), the surprisingly striking CalTrans building, and never found the MOCA. I did, however, stumbled upon that rarest of establishments: STARBUCKS! The live music was the clincher for me. A mournful trumpeter had set up on the corner opposite the Starbucks and was serenading the whole block with something resembling Johnny Mathis Chances Are. You could feel his heart coming through each phrase. Remarkable! As my lunch break came to an end, I reoriented myself and trekked back to the windowless corridors of the courthouse to await my next adventure satisfied for today and determined to wander again. * NOTE: Here is a more professional picture of my favorite black lump. P.S. I also found out the MOCA was closed that day. I NEVER bargain with God, but, this time, I did. Ill what? What would be a fitting wager? I wont waste time on Facebook? Or how about the safe, fall-back Ill give you all the glory? Apparently, whatever I came up with wasnt good enough to cover the whole week. After being spared on Monday and Tuesday, Im required to report to the downtown courthouse on Wednesday morning. And I was worried I wouldnt have anything to blog about! Sending me downtown can be dangerous – I people watch, I explore, I may even have a teachable moment. Plants grow upwards, right? Of course they do – unless you plant them upside down. Last Christmas, I received an As-Seen-On TV Topsy Turvy Tomato Basket. Kind of a quirky gift, but it goes with my current Sure, why not? gardening philosophy. 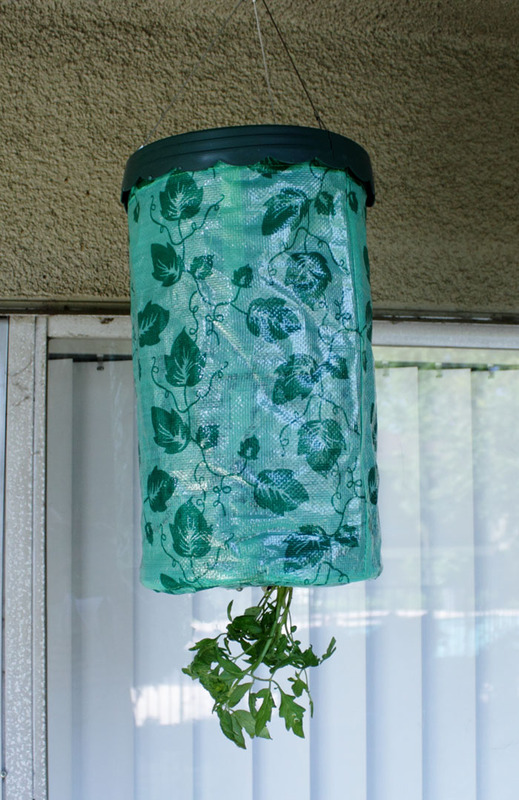 My daughter and I bought a cherry tomato plant last weekend and followed the directions for planting it upside down. When we finished, we hung the basket from a hook outside our front door. On the second day, I was worried that no one had watered it, so I went out to check on it. To my surprise, it was not hanging straight down like it had been. It was curving sideways. When I reached up to feel it, it was rigid. My tomato plant was intentionally adjusting itself to its new surroundings. It was seeking the light. Instead of succumbing to gravity, it was reaching out for what it needed: light, sun, warmth. 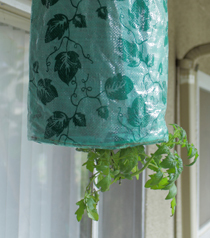 Do you ever feel like your life is Topsy Turvy like that tomato plant? I certainly do. The trick is not to succumb to circumstance! Keep reaching for the light! Here it is. My blog. A place to share my insights and thoughts on the whats and whys of life. I blame Facebook. It awakened my inner writer. Mentally framing my experiences into Facebook posts was the first symptom that something was happening. And then there was the collusion of my inner reader. Everytime I read something great, I wanted to write something great. Writers write, right? So Ive started writing – whenever I get the urge – about whatever inspires me. Having a purpose to write has made me more aware of the little things that happen each day. My posts will be snapshots from life both inside and outside the classroom and so Ive entitled the blog Teachable Moments. And so it begins- the brief digressions and occasional tangents. Thanks for reading!